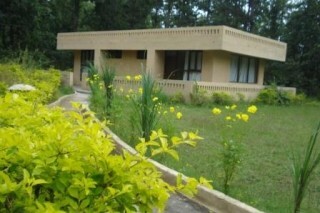 Our property is located in a village called BAMHNI, 192 Kms from Raipur, 5 Kms from Mukki gate, Kanha National Park .our property is strategically located on the edge of the national park. 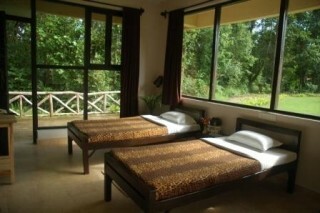 Surrounded by the lush green sal trees, it serves as a wonderful gallery for viewing wildlife. The Kanha National Park touches the velvety reaches of Kanha Maikal hills, a most ancient and beguiling portion of the central Indian satpura mountain range. These forests cover around 2000 sq. km and are a mix of tropical moist and dry deciduous types. The region around Kanha supports tree species like Sal, Mahua, Saja, Kulu, and many more along with bamboo and other grasses. The fauna boasts more than 250 species of birds, including the Malabar Pied Hornbill, the Crested Hawk-eagle as well as an impressive assemblage of herbivores like the , Barasinga Swamp deer (found only at kanha), the Gaur (Indian Bison) and the Sambar, and chital deer, Which results in a high density of prey in this region. This in turn, supports a large and thriving population of predators like the Tiger (incidentally, the Kanha region is said to have one of the highest density of Tigers in India), the Leopard, the Indian Wild Dog, hyena, Sloth bear, etc. 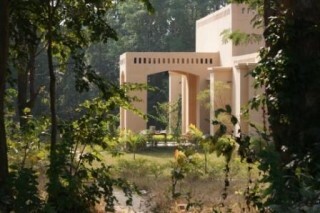 Inspired by a vision of operating world-class wildlife resorts in key National parks of India, Muba offers various unique accommodation in Kanha National Park. Tastefully-decorated rooms with all the modern amenities. Each looking out into the expansive, lush green jungle and appointed with every little indulgence you would normally expect on a premium vacation. All in keeping with our property aim of providing its visitors an extremely indulgent holiday that’s on par with any discerning property elsewhere. 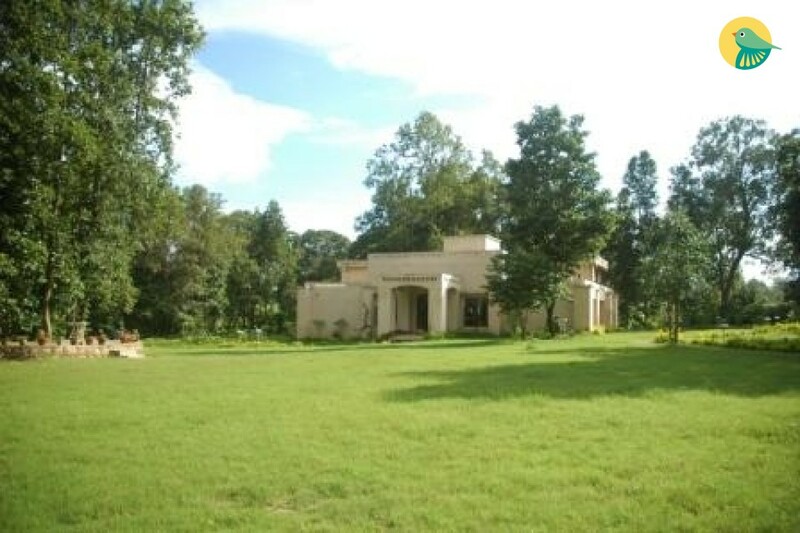 Property Factsheet : Well planned Rooms & Cottages, spread across a sprawling 55 acres of pristine forest. Each room is approx. 250 sq. Ft. / Each cottage is approx. 300 sq. Ft. 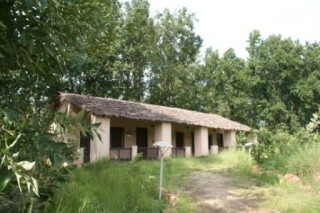 Rooms & Cottages have separate dressing area. Centrally located common dining area. Separate activity area, with Table Tennis facility and other indoor games. Separate play area for children with play equipment. Meeting / Training hall. Library with books on wildlife. Huge sit-out with special areas for bon-fire. Private sit-out for each Room and Cottage. Water body, ideal for bird-watching, within the property. 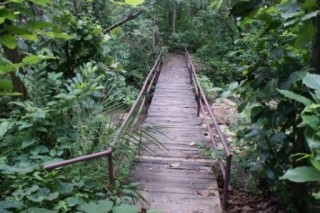 Trekking path within the property. You can look forward to, *An activity/information centre. 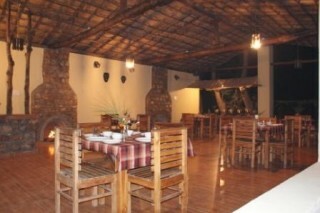 *A restaurant serving vegetarian and non-vegetarian buffets. *An extensive wildlife library. *A Souvenir shop where you could shop for different taste of accessories for yourself and your home. A games room to provide both indoor and outdoor games and their accessories. *A beautiful natural pond, where you can enjoy fishing . *And a few other touches to pamper you and make your holiday extra memorable. Travel Assistance is Available Car Rental can be provided. Pick up and Drop Off on request. By Air: The Nearest Airport for Kanha National Park are Jabalpur 160 Kms, Raipur 250 Kms & Nagpur 300 Kms.